1858. This is a piece of living history. 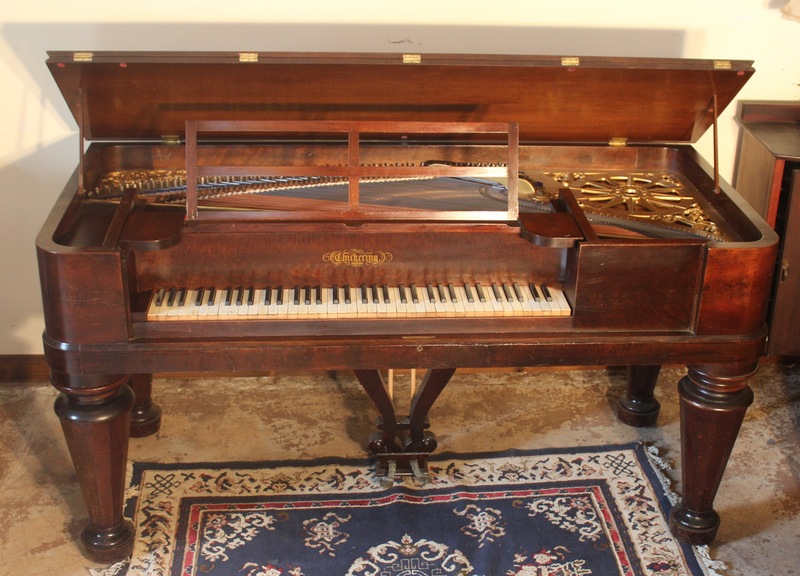 Not to be confused with modern grand pianos, the square type is valued for its representation of an earlier age in home instruments as well as for over all beauty. 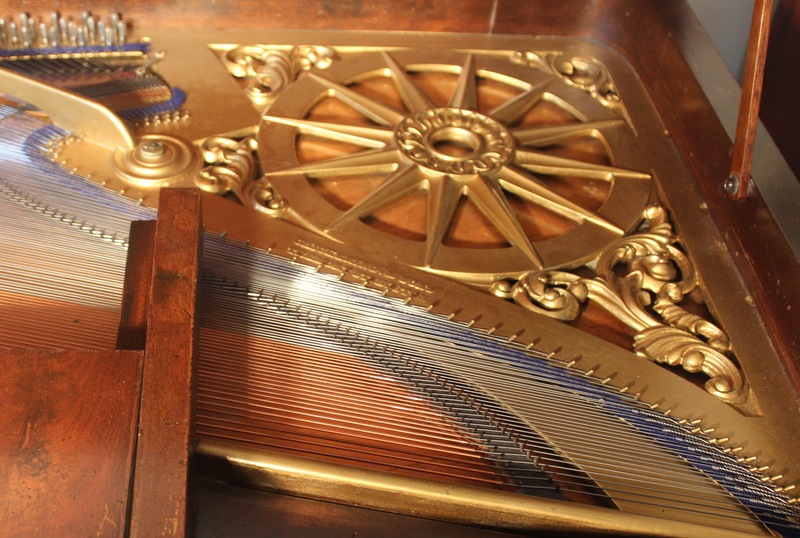 This walnut cabinet and original finish has been preserved along with the rest of the piano, with an eye toward maintaining historical integrity. Except for the new strings, all parts are original and in very good condition. 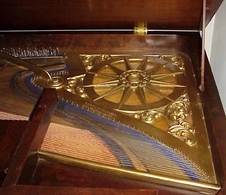 An identical Chickering piano was featured in the Smithsonian Institutes “Piano 300” exhibit in Washington D. C.
An interior view of the Chickering, showing the new strings, sound board, and serpentine treble bridge. Jonas Chickering's innovative cast iron plate is complimented by his early use of the “double repeating” action and the use of the repetition lever. 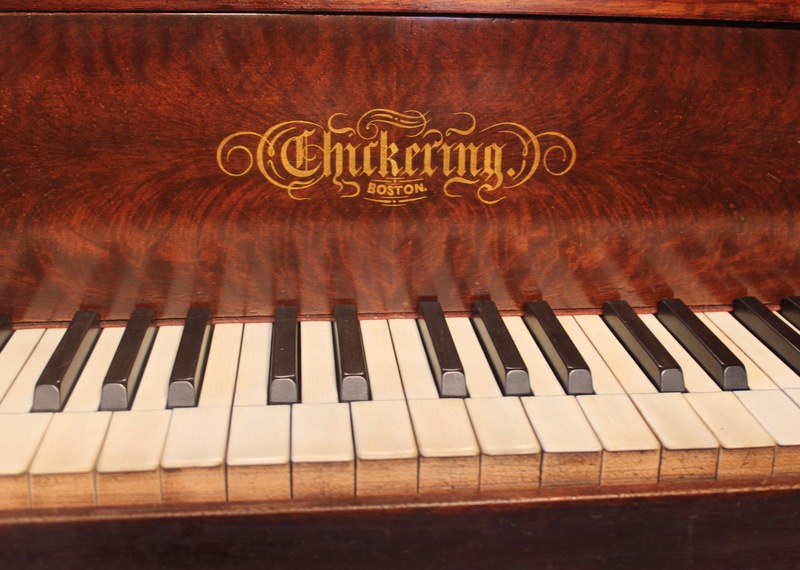 This same action was used in Chickering concert grand pianos until about 1890. 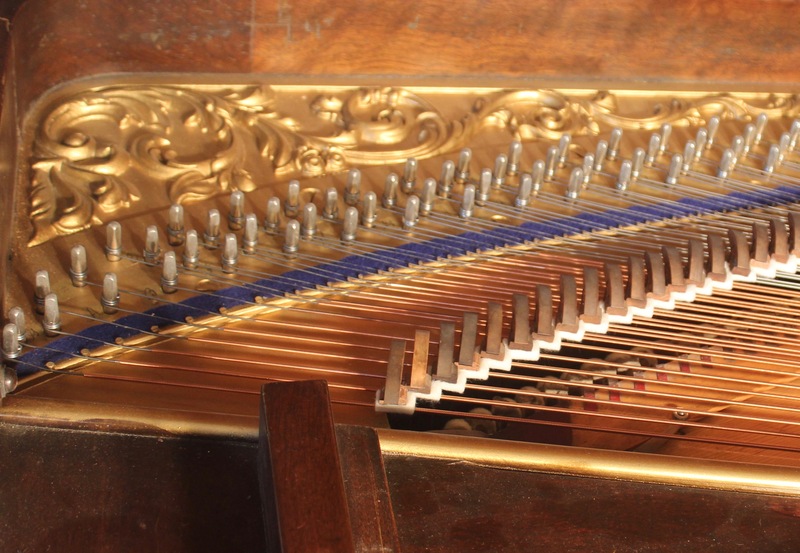 In this view of the Chickering action, you can see the repetition lever just below the green hammer rest felt. Installation of all new strings with nickel plated tuning pins. 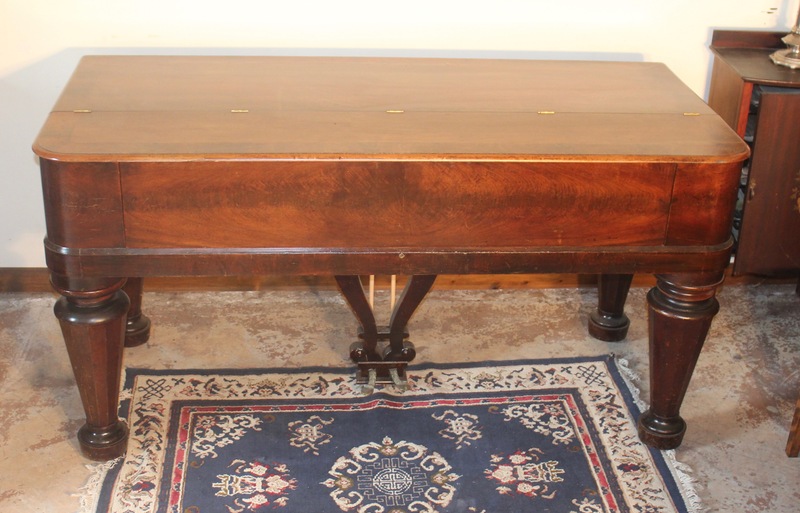 Action restoration including hammer resurfacing and careful felt replacement as needed.